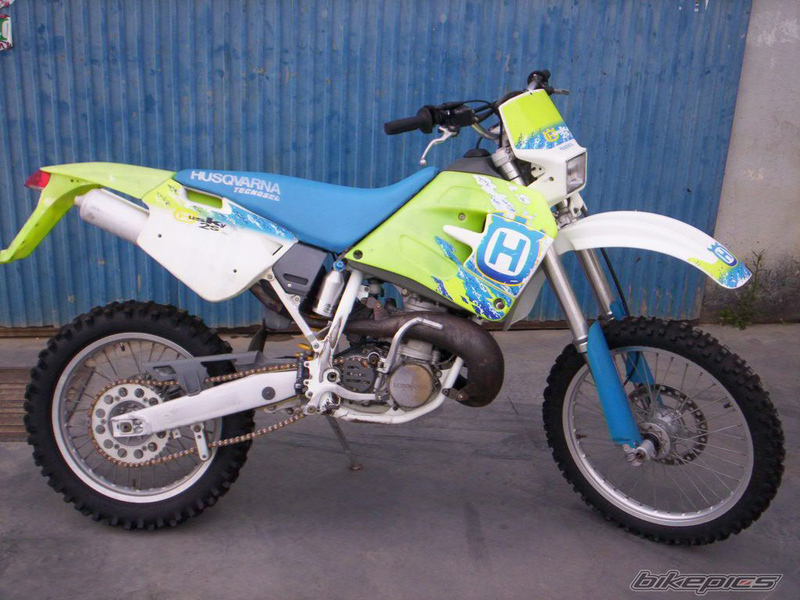 In modern day Supermoto Racing, could any form of 2-stroke be considered competitive? 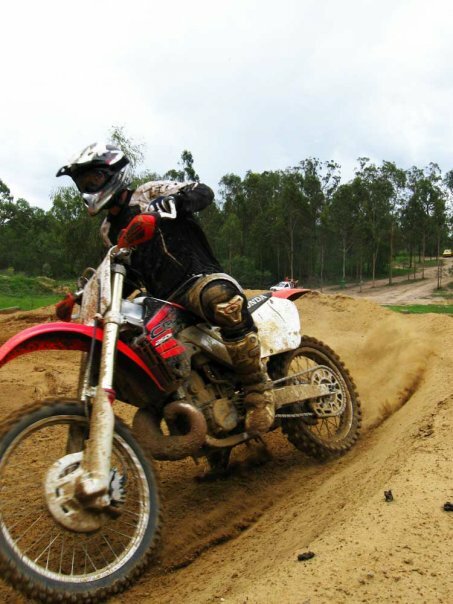 Although Supermoto is now dominated by powerful 4-strokes, in the early days, races such as the ‘Guidon D’or’ had grids filled with CR500s and KX500s. 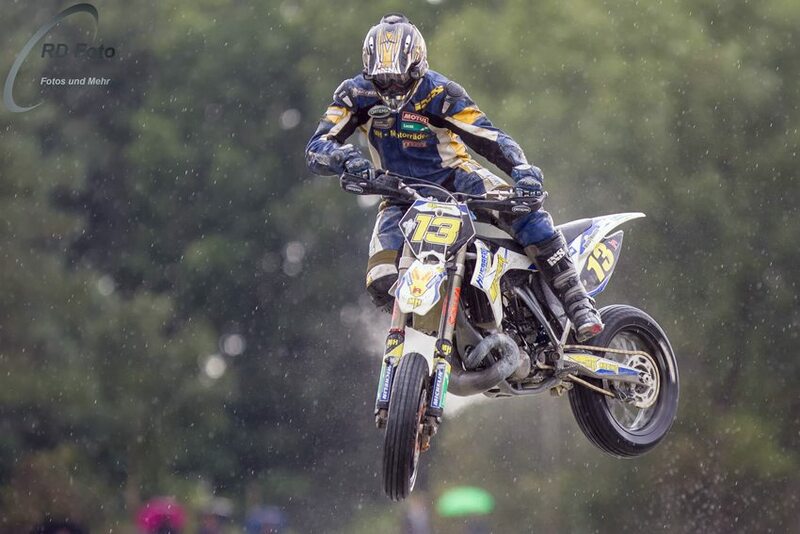 In recent years, you do see the occasional 2-stroke out on the tracks, with some even winning championships, such as Jochen Jasinski winning the 2011 German S2 Championship on his Husaberg 380 Supermoto Hybrid. However, there hasn’t even been any major attempts by manufacturers to design competitive, purpose-build 2-stroke supermotos. Obviously, with supermoto conversions, CR500s and KX500s have shown that power is by no means an issue, with people getting 90hp+ out of them, as shown in the video below. A 500cc V-Twin two stroke concept bike! Styled with inspiration from the lime green Husqvarnas of the mid-90s, the Husqvarna TS500V would bridge the gap between tight-track performance and open, high speed circuits. Equipped with a liquid-cooled, direct injected 500cc V-Twin 2 stroke and a 6-speed manual gearbox, the TS500V would offer a plentiful amount of power through the whole rev range, as well as cleaner emissions. Being a road-registerable model, the TS500V would offer various mapping solutions, allowing for a full-race option, as well as a slightly, more economical and somewhat tranquil option for commuting on the road. Although there might not be much benefit in having a 500 V-Twin 2-stroke with more horsepower than weight on tight tracks, on straights and more open tracks, the TS500V would have more than enough power to walk away from big single cylinder 4Ts, and likely even the powerful Aprilia SXV550s, provided that you can get the power to the ground. Honda’s Factory V-Twin 500cc GP Bike. Many of you may recall the Honda NSR500V, used in 500GP before the shift to 4-strokes. Honda offered these bikes as a production racer to the public, provided that you could afford one. 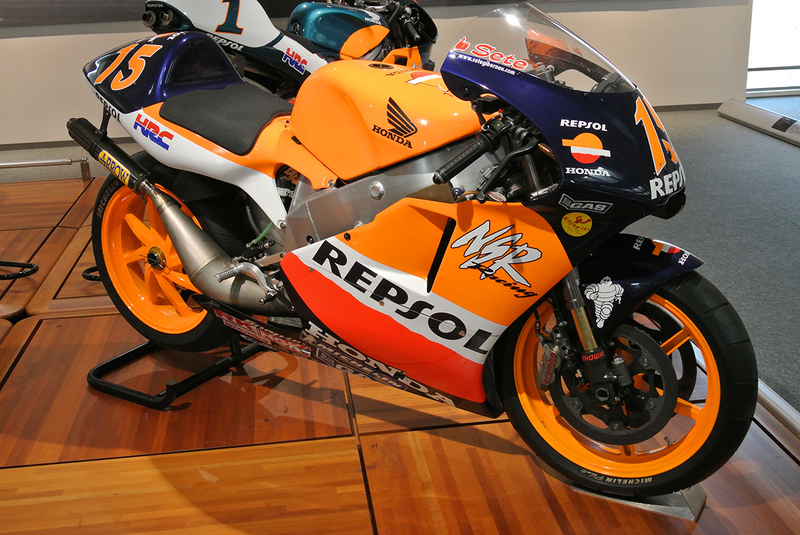 Fitted with a 500cc V-Twin two stroke, the NSR500V produced 135hp with a weight of 103kg. One can only imagine how terrifyingly fast something like that would be. Therefore, I feel that a weight less than 120kg would be more than achievable for this type of build, meaning that it would still be almost 8kg lighter than the Aprilia SXV550 and produce anywhere between 40-60hp more. 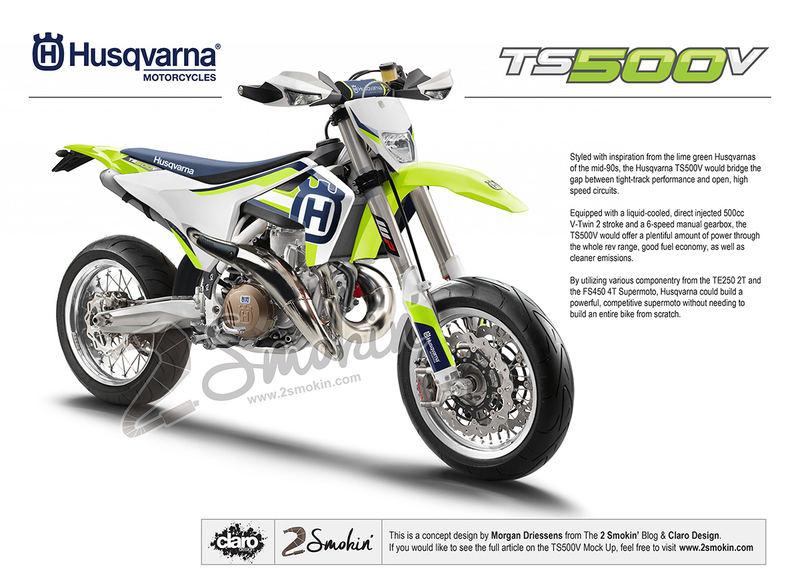 By utilizing various componentry from the TE250 2T and the FS450 4T Supermoto, Husqvarna could also build this without needing to build an entire bike from scratch. 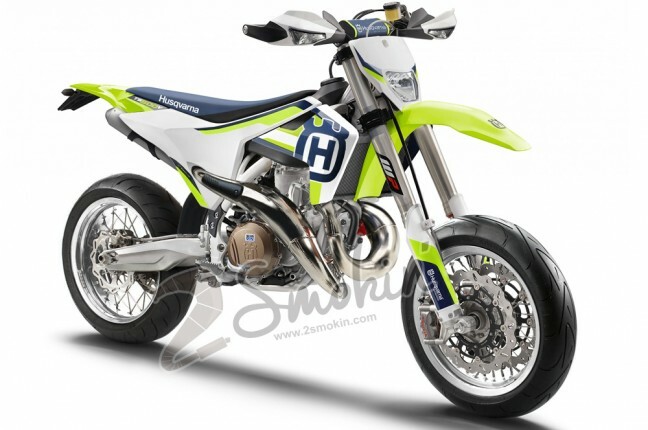 I don’t know about you, but if Husqvarna offered this at a registered, rideaway price of $15,000AUD, I would definitely be rolling out of the showroom on one, grinning like the Cheshire Cat! Maybe a5 speed box because it should have the grunt and the tracks are traditionally tighter than a road rave circuit. May save a little more weight as well.